The revolving door of starchitects commissioned to rebuild the site of the World Trade Center continues to spin. Bjarke Ingels and his firm BIG will replace Foster + Partners as the designer for Two World Trade Center, the final skyscraper in the Ground Zero Master Plan. 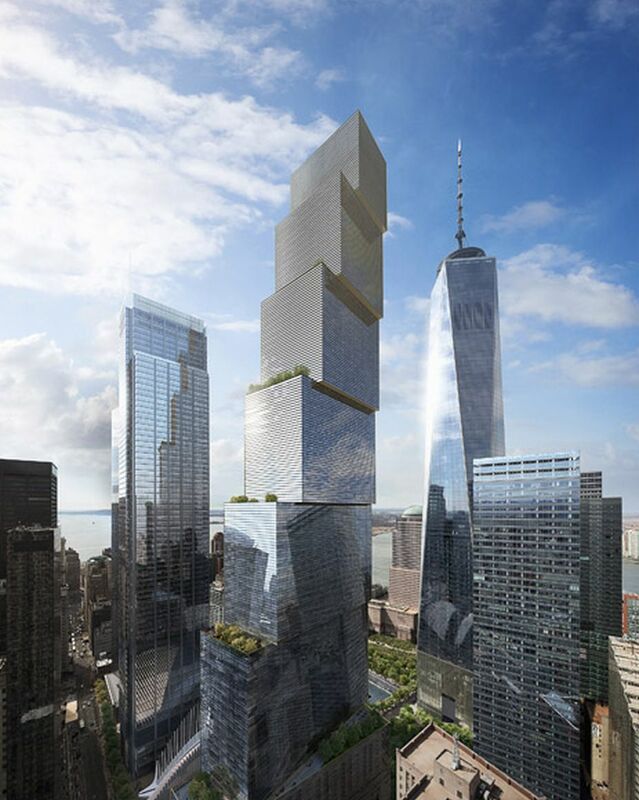 Politics, budget woes and contractual problems have significantly delayed the construction of the 79 story office tower. Foster was initially chosen as the architect back in 2005, submitting a design with a diamond-shaped summit. But in those 10 years, the dynamic of Manhattan’s Financial District has changed and so too have the needs of its workers. 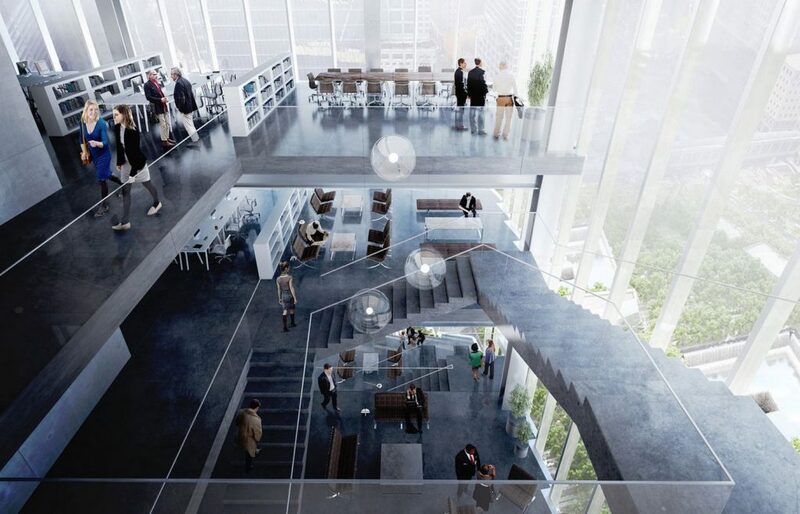 Ingel’s preliminary renderings, released by WIRED Magazine in an exclusive interview published today, have an undeniably fresh look. The skyscraper resembles a stack of seven blocks that decrease gradually in size. 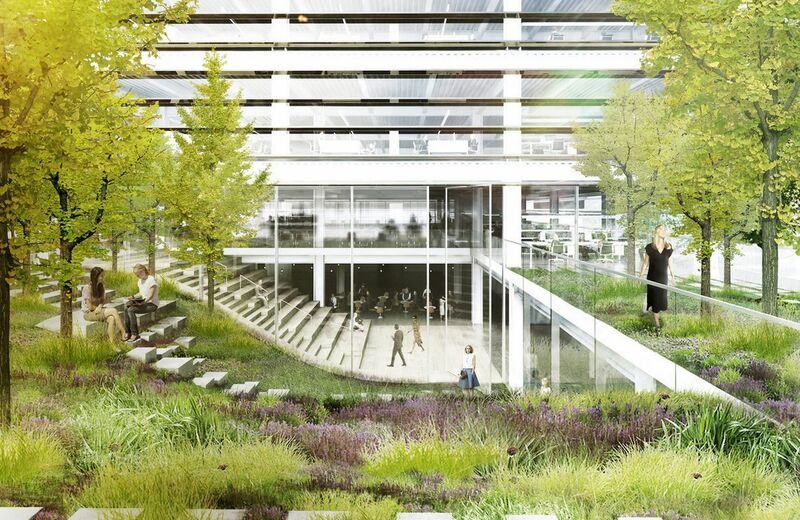 Each block is intended to house a different company, with the interiors emphasizing open workspaces and common areas. 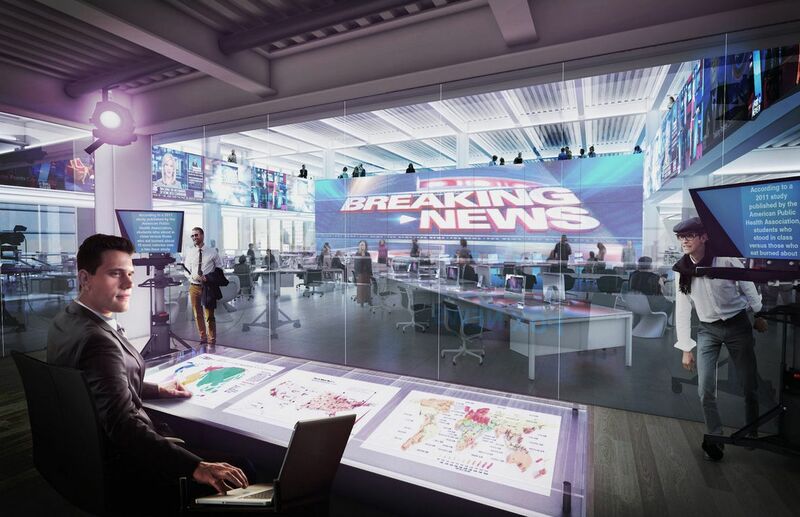 The two largest blocks will be occupied by 21st Century Fox and News Corp, owned by Rupert Murdoch. It was Murdoch’s son James, in fact, who initiated the change in design, bringing Ingles on board. The 40-year-old architect is renowned for his forward-thinking projects, such as New York City’s DryLine and Google’s new Silicon Valley campus. In recent years, Lower Manhattan has been transformed by the arrival of new media, tech and advertising companies — and Ingel’s creative design is clearly catered to them. 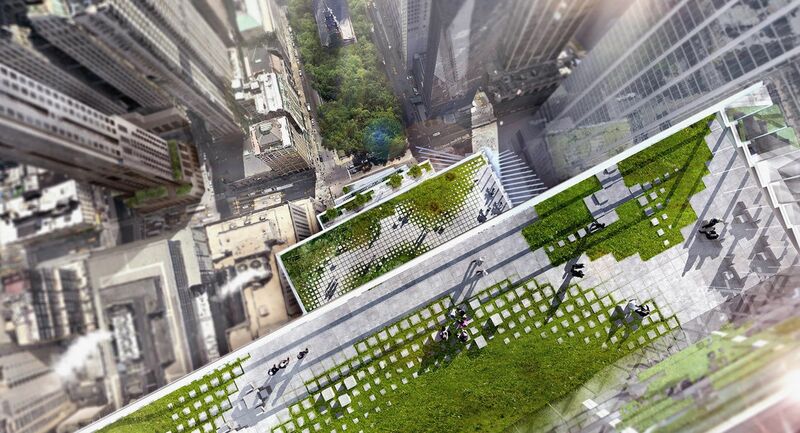 Two World Trade Center will also include a series of garden terraces, jutting out between the blocks. On the top floor there will be a Fox screening room for sky high events. 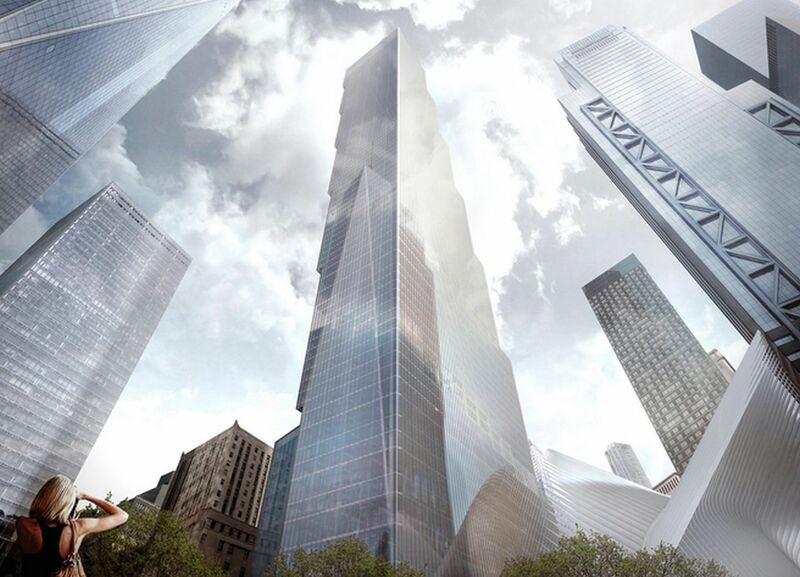 At 1,340 feet, the skyscraper will become the third tallest in Manhattan, after One World Trade Center and 432 Park Avenue. 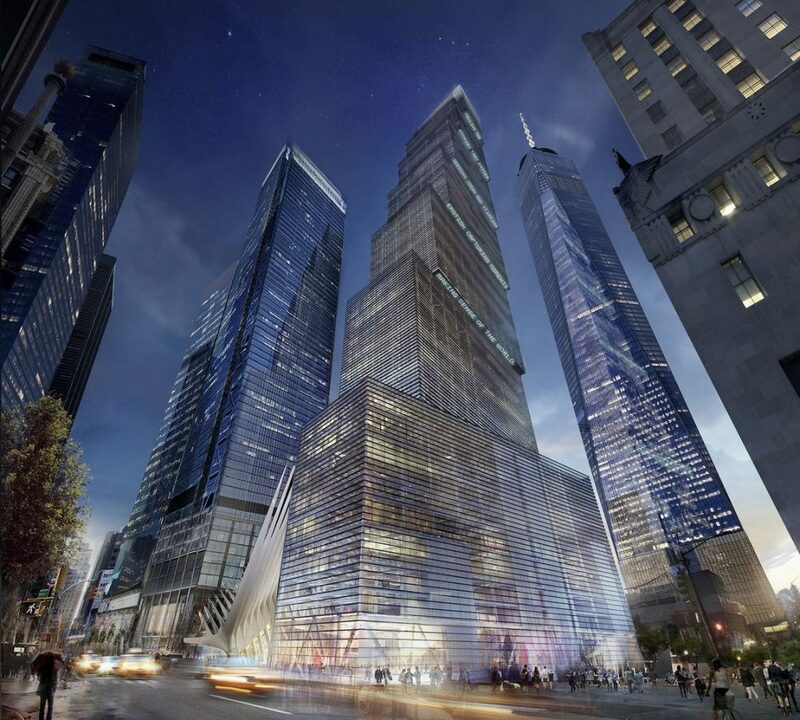 It’s slated to open in September 2021, marking the 20th anniversary of the attacks.